I awoke to a HAZY morning. 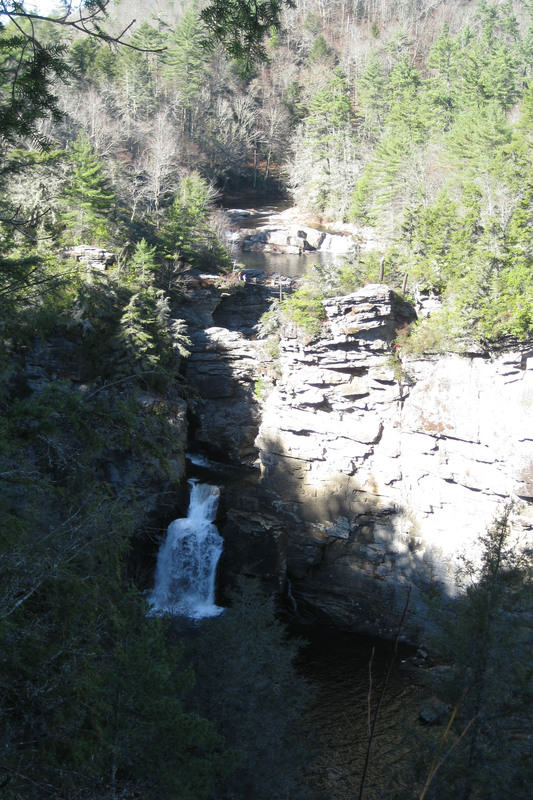 I was a bit disappointed as Reader’s Digest describes Linville Falls as one of the most popular stops on the parkway and if travelers could pick one stop along the route, Linville Falls would be the most likely choice. 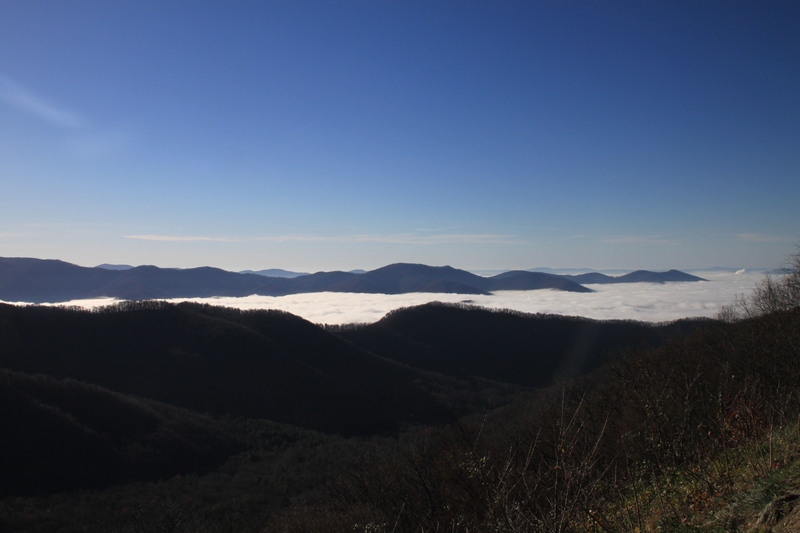 I hoped that the fog only hung over Asheville, and headed to the mountains to see what the day had in store for me. Lucky for me, my hope turned out to be reality. 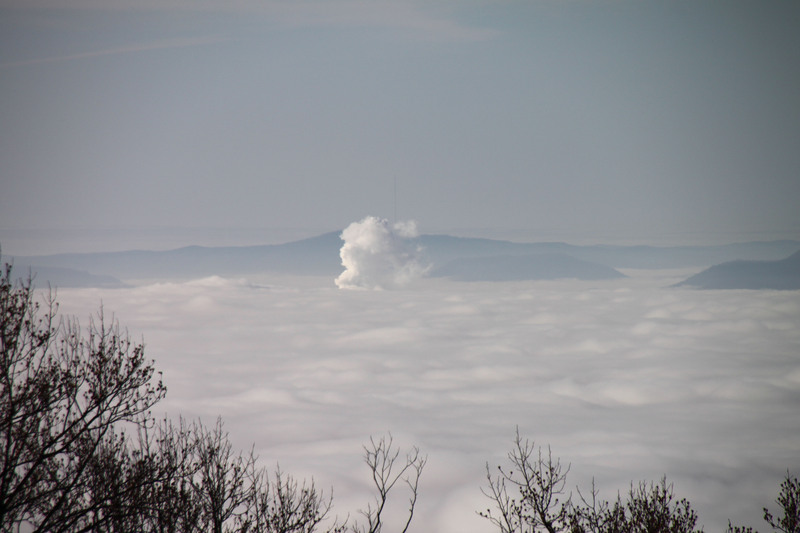 The mountain tops, in crystal clear skies, towered above valleys blanketed in clouds. Looking out above the clouds gave me a feeling like I was in the Himalayas – obviously far from it – but the panorama looked magnificent. I stopped at countless overlooks to admire the views. 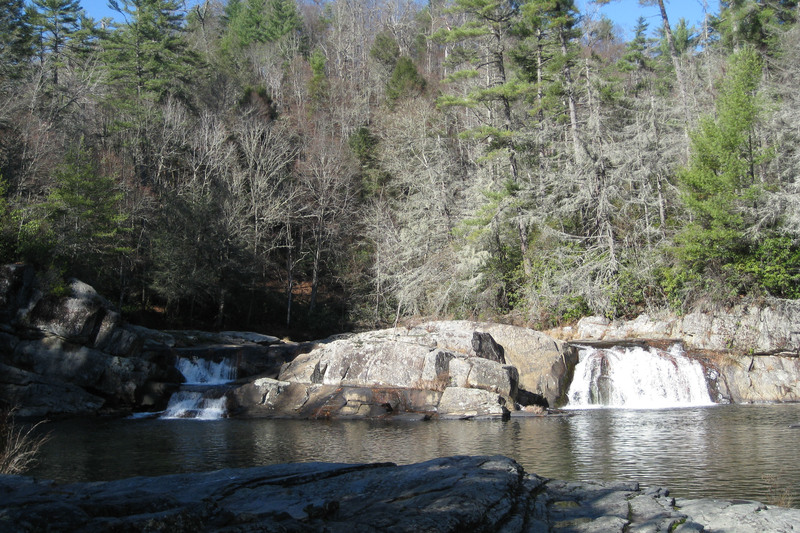 It took a few hours to make it to Linville Falls, but we enjoyed a lovely mile hike along broad trails to three different overlooks. Several visitors were out enjoying the fantastic day as well, thus the mutts made lots of new friends! The wide trails were a nice change. Most have been extremely narrow making it difficult to pass with two dogs. The trails were also relatively smooth and flat…another nice change. Of late, I’ve had to release the dogs from the leashes in a number of spots just to clamber over the rocks safely.